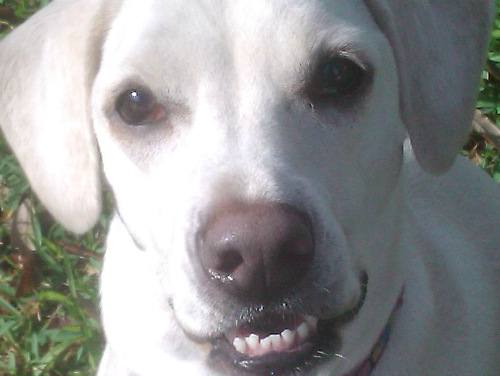 Keep Your Dog Smiling with Healthy Teeth and Gums + Win $100 from The Dentastix Brand! Daisy’s funny smile is one of the many things we love about her. It makes ME smile just seeing her crooked, toothy grin, and we’re doing everything we can to help keep her teeth and mouth healthy. In addition to keeping your dog’s smile looking good, a lot of pet parents don’t realize that proper oral care is super important for your dog’s overall health too! Just like with people, if a pet gets gum disease from poor oral hygiene, bacteria from their mouth could enter their bloodstream and travel to the heart, lungs, kidneys, and other organs. Unfortunately, unlike humans, we can’t teach our fur kids how to brush and floss so we have to be responsible for keeping their mouth healthy and clean for them! Brush your dog’s teeth daily and only use toothpaste that is designed for pets (never use human toothpaste). Daisy likes the poultry flavor and thinks tooth brushing is a big treat! Out of sight, out of mind. 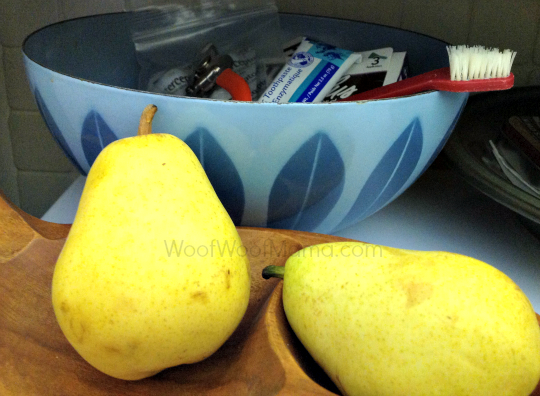 Keep your dog’s tooth brush and toothpaste somewhere handy where you’ll see it and remember to use it. We keep all of Daisy’s important supplies up on top of the microwave in a big bowl where we can see it but she can’t get into it. Watch out for early signs of gum and dental disease. If your dog starts getting bad breath or you notice their gums are bleeding, be sure to see the vet. Even if you don’t see these symptoms, remember to ask your veterinarian about your dog’s oral health at every annual exam. 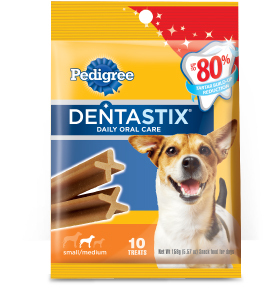 Treat your dog with snacks designed to aid in oral care, like Pedigree Dentastix treats. They’re clinically proven to reduce tartar buildup (a contributor to gum disease) by up to 80% when used daily. 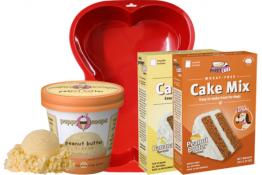 They’ve got a special texture and patented X-shape. They help clean between teeth and down to the gum line. You’ll find them in sizes for every dog, too! 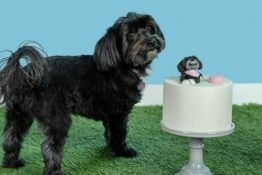 To help spread the word about the importance of great oral care, the makers of Dentastix treats wants to give one lucky reader a very special treat that is sure to make you SMILE: a $100 Visa Gift Card! That sure will buy a lot of treats and toothpaste…Or use it to splurge on anything you’d like! This Giveaway has ended! Congrats to Candice D. from Washington state for being randomly selected as the winning commenter! Just leave us a comment below with your best tip for keeping your dog’s mouth healthy, or tell us the biggest challenge you have when it comes to daily oral care for your dog. 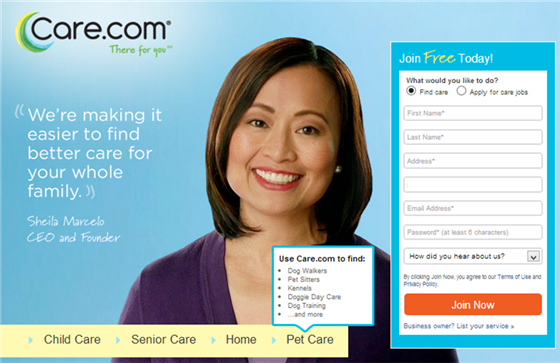 FREE To Join Care.com: Find Local Pet Sitters, Dog Walkers + More! 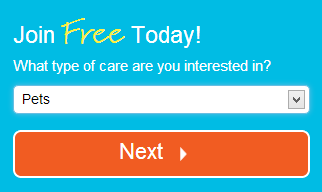 I just got word that it’s currently FREE to join Care.com, a great resource for finding caregivers in your area. Care.com provides a trusted place for families and care providers to easily connect, share care giving experiences, and get advice. The company offers reviews, listings and advice for services including child care, special needs care, tutoring, senior care, pet care, housekeeping and more. Handy whether you just need an occasional backup for your regular dog walker, or are looking for someone to rely on regularly. If you have services to offer, you can also connect with families looking for caregivers. Find and select the best care possible based on detailed profiles, background checks, and references for hundreds of thousands of mom-reviewed providers who are seeking to share their services. It’s FREE to join here and get started! 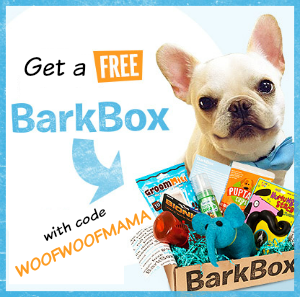 Get a FREE Puppy Care eBook Download! Got a new puppy or know someone who does? 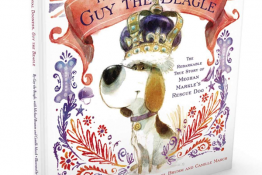 Hurry on over and snag a FREE Puppy Care eBook from Purina and Petcentric! You’ll also have the opportunity to sign up for dog food coupons, free samples, and their newsletter with expert advice on pet care! Get a FREE 1 Year Care.com Premium Membership for Active Duty Military Families ($140 value)! Just a reminder that Care.com is offering a FREE premium 1-year membership to all Active Duty Military Families! This offer is a $140 value and available thru May 31, 2012 during Military Appreciation Month only. Daisy’s Papa is an Army veteran and served in Iraq, so I know first hand how difficult and stressful life can be when a spouse is deployed overseas! This Free Premium Membership offer is so great because you can join now and have access to Care.com for an entire year! 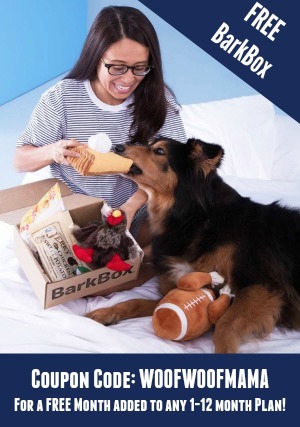 Whether you are a military spouse who could use a hand around the house, or are an active duty military family getting ready to PCS or preparing for a loved one’s mobilization or return home, this could really come in handy for pet sitting, child care, and more! By joining Care.com as a Premium member you’ll receive full access to the service, including caregiver contact details, background checks, and references. You can also post jobs detailing your specific care needs, and you’ll receive access to caregiver alert emails and weekly member newsletter filled with expert tips and advice. Premium subscriptions also have access to Care.com backup benefits like Care-on-Call. Active Military Families Sign Up for a FREE 1-year Membership to Care.com !